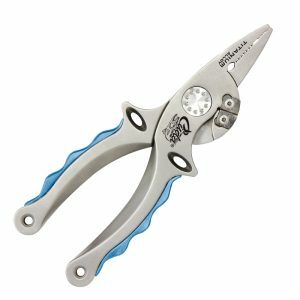 Top of the line, 7.25″ Titanium Alloy Plier & Mono/Braid Cutters! 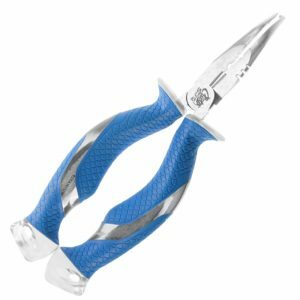 Integrated Tungsten Carbide braid and mono cutting blades. With high leverage cutting action. The Titanium Alloy body is corrosion resistant. Includes a hand-crafted leather sheath and a convenient lanyard. 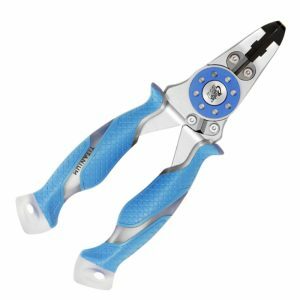 Cuda 7.5″ Pliers featuring integrated Tungsten Carbide Wire, Mono & Braid Cutters. Full tang, Aluminum Alloy construction. 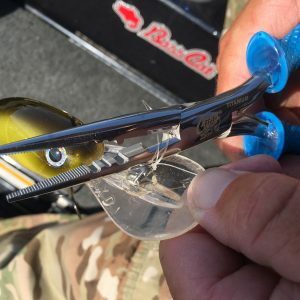 High leverage Mono & Braid compound cutters. Handles are non-slip, Cuda scale pattern. Also includes ballistic nylon storage sheath and convenient lanyard. 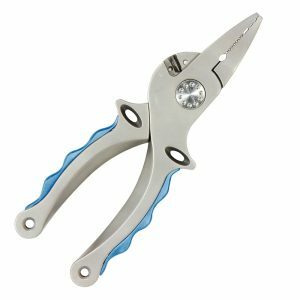 Aluminum construction with an integrated side cutter, this 7.5″ plier will cut braid, mono and fluorocarbon. 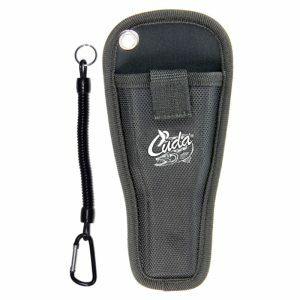 The handles are ergonomic and a convenient lanyard and sheath are included. Lifetime warranty. 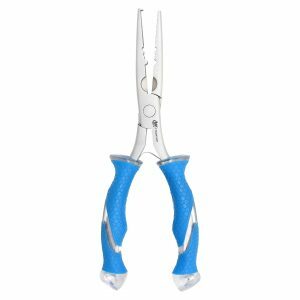 These 7.5″ Cuda pliers feature Tungsten Carbide Mono and Braid cutting blades and Titanium Bonded jaws. 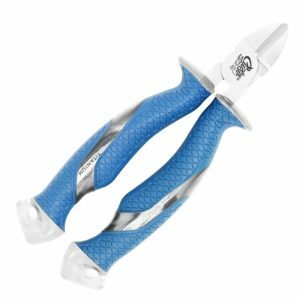 With Aluminum Alloy construction and non-slip Cuda pattern handle grips. The durable full tang construction is visible through the handle design. A ballistic nylon sheath for storage and a convenient lanyard are both included. 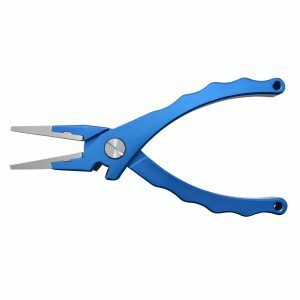 These Cuda 8.75″ Needle Nose Pliers feature High-Carbon Titanium Bonded jaws and high-leverage compound action. The full tang steel construction is visible through the Cuda scale pattern, non-slip handle grips. Also features an integrated wire and mono cutter. 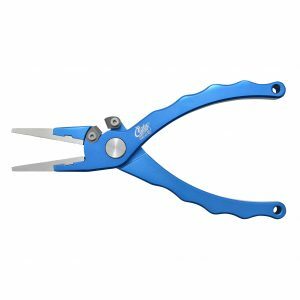 Cuda 6.75″ Wire Cutters have high leverage compound action and are designed to cut wire, mono and fluorocarbon. 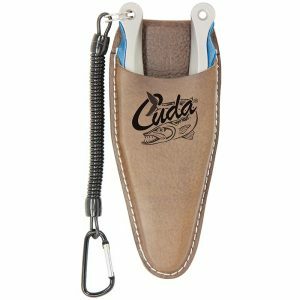 The full-tang, durable construction is visible through the Cuda scale pattern, non-slip handle grips. High-Carbon Titanium Bonded blades are 3x harder than untreated steel and will stay sharper for a longer period of time. This 7″ Ring Splitter is perfect for cutting line, wire and open/close hook eyes. 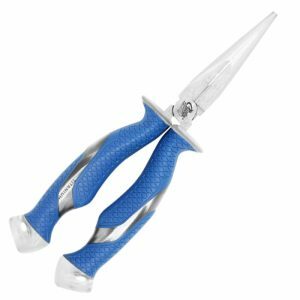 With High Carbon Titanium Bonded steel and full tang construction that can be seen through the non-slip Cuda scale pattern handles. 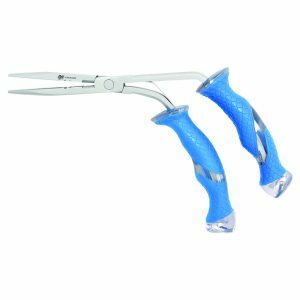 Features an integrated wire cutter and ring splitter.